Mexico to New YorkSavannah to Atlanta Road Trip. 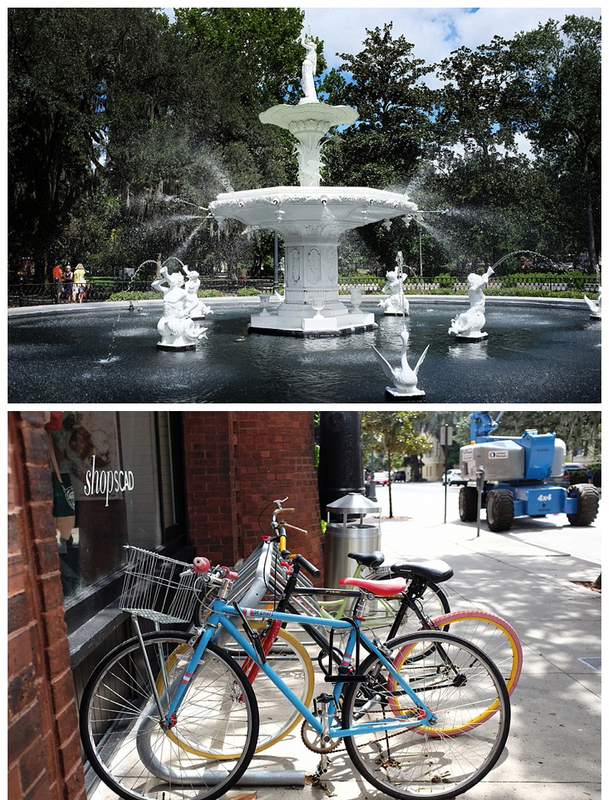 Our time in Florida had felt a bit like being on holiday within our trip – all beaches and resort towns. As we headed into Georgia we seemed to re-enter the ‘South’. 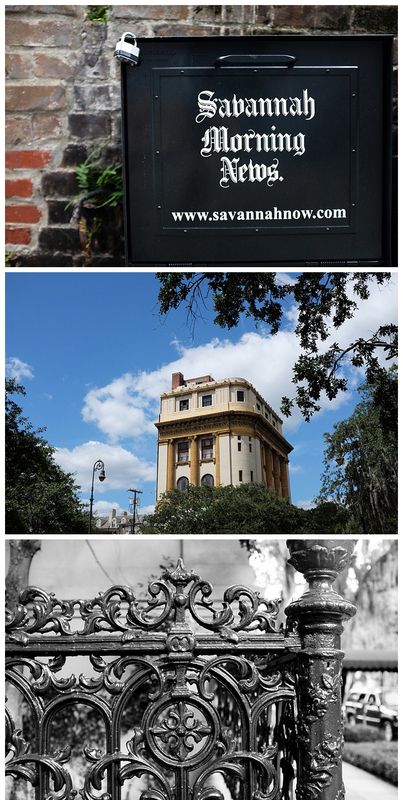 We holed up for a few days in the outrageously lovely town of Savannah, a place with a chequered history. 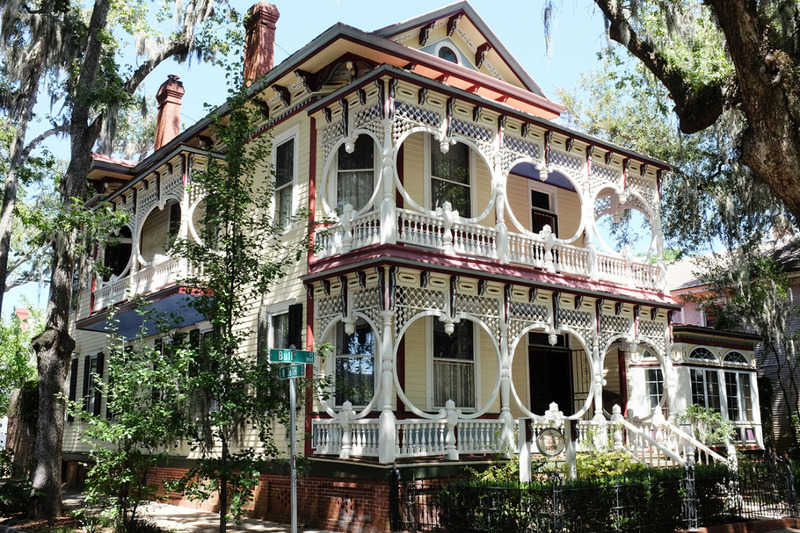 An old colonial town, fought over by the Brits in the Revolutionary wars, and the Yanks and Confederates in the Civil War, Savannah has retained its immaculate southern charm. 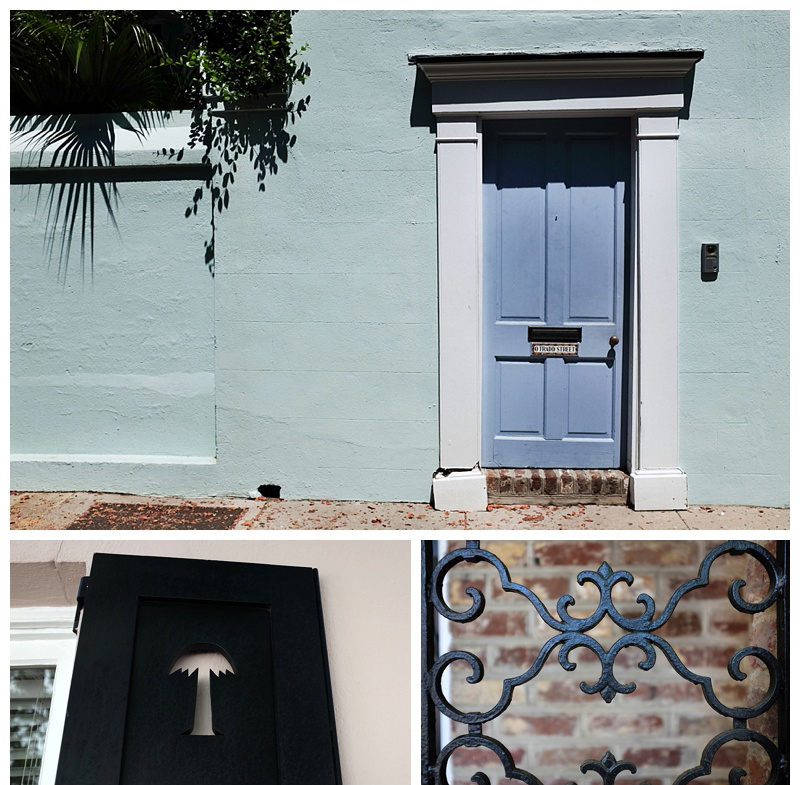 The city is dotted with some of the most picturesque little tree-lined squares you could ever hope to see, each slightly different, each with its own personality – a statue here, a monument there. Linking the squares were gentle streets, often immersed in the sound of clopping hooves from the tour carriage rides that add to the feeling that you’ve entered another era. 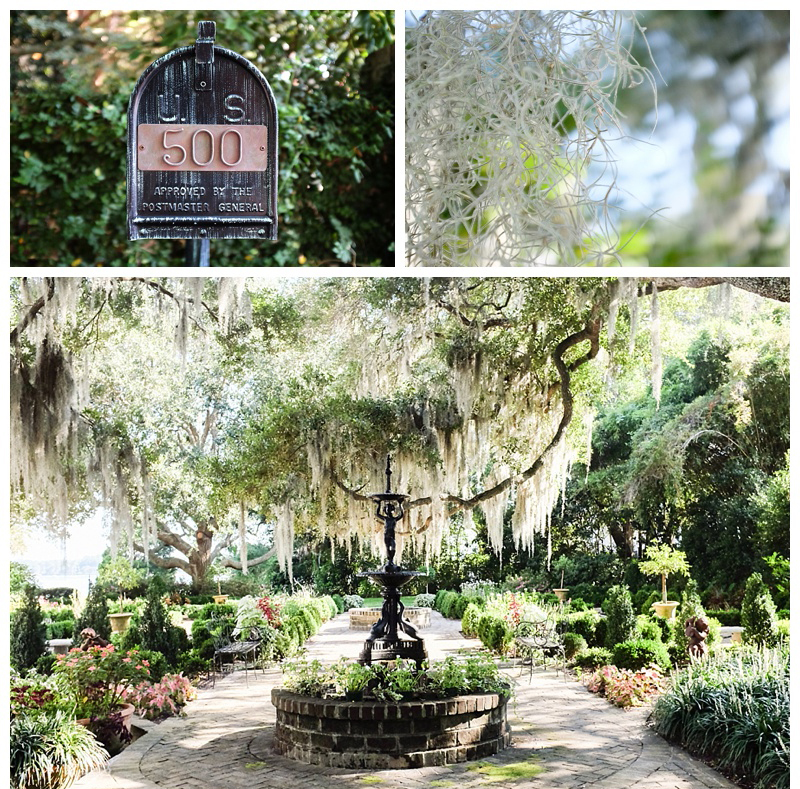 Adding to the atmosphere, Spanish moss draped the trees, and the grand houses with their ornate iron railings and wooden shutters, looked like ginger bread houses from a fairytale. The old city finishes at the slightly grimy river waterfront, where modern container ships glide effortlessly past the old warehouses, now turned into tourist shops and bars. 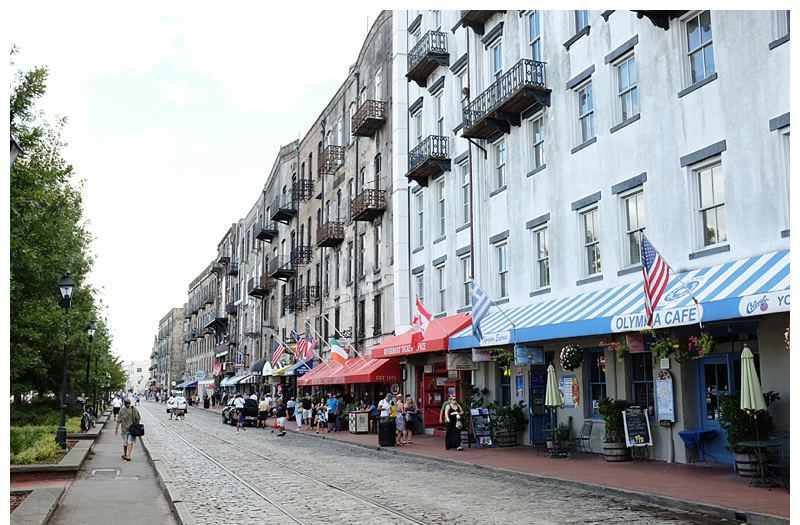 You get a good sense of what it must have been like in its heyday as a working port town. 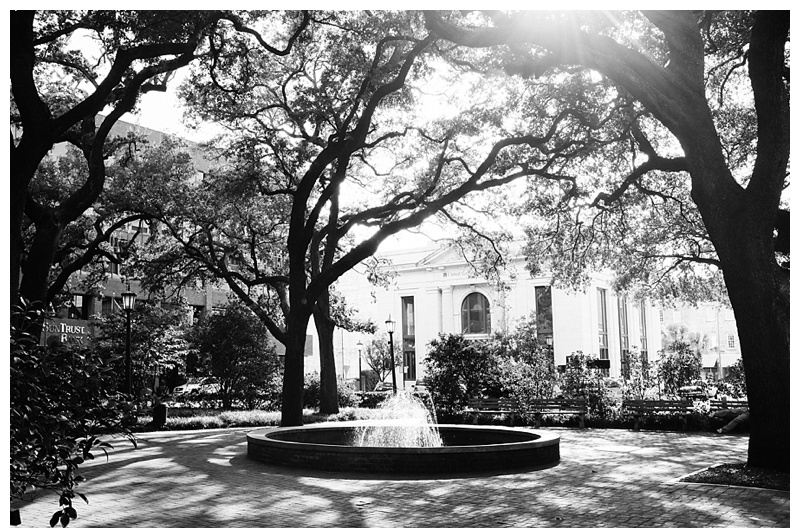 Savannah became infamous in the 1980s as the setting for the best-selling true-crime novel Midnight In The Garden Of Good And Evil. 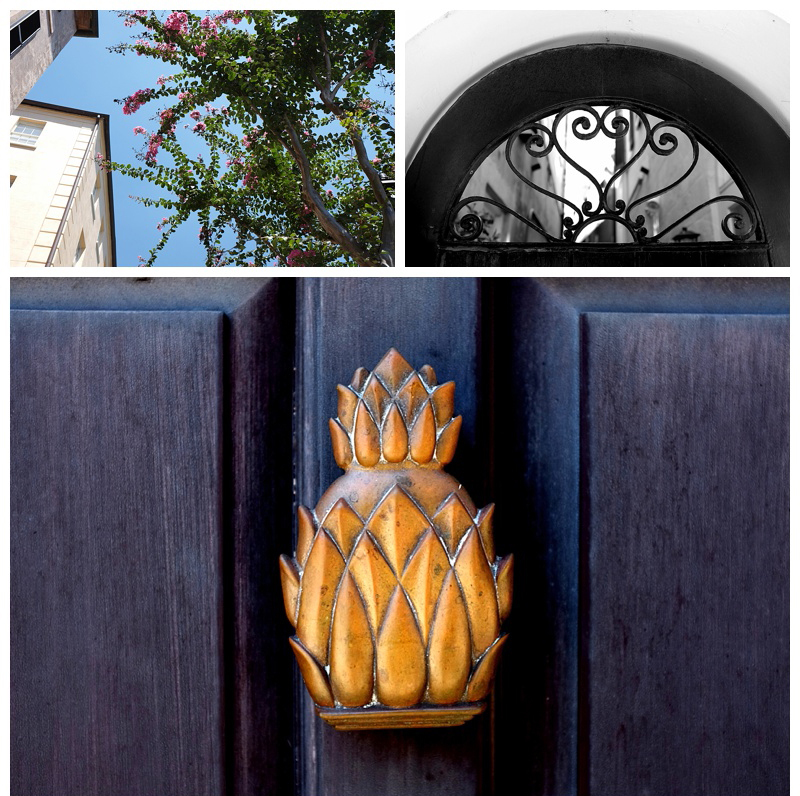 We weren’t quite game enough to go inside the house where the ghastly deed happened, but we did courageously snap some photos as we skipped past the front gate. 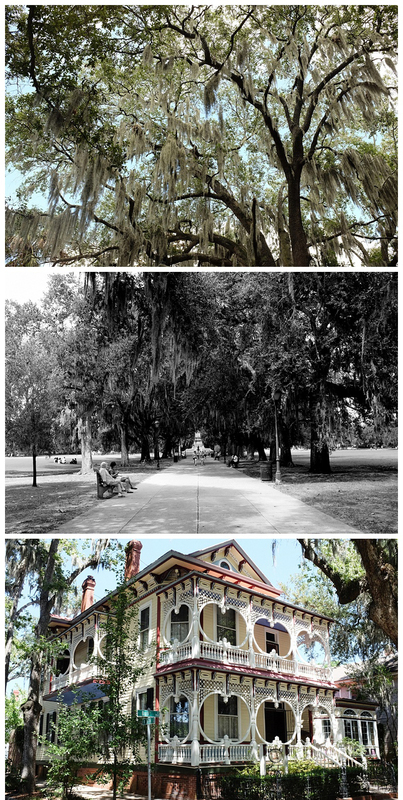 Later Savannah became better represented as the setting, in part, for the movie Forrest Gump. The scene with that famous bench (although only a prop) was filmed in one of the town squares. 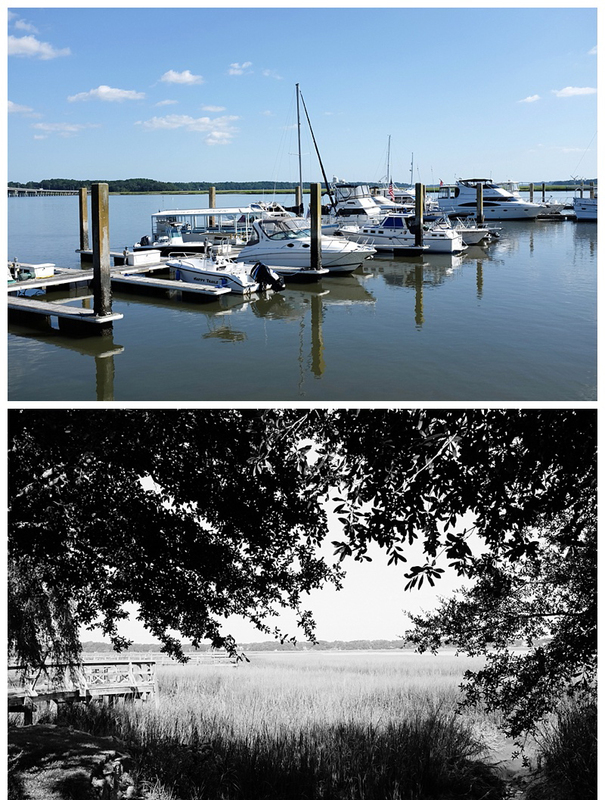 Close to Savannah is Hilton Head Island, home to an idyllic private resort community. 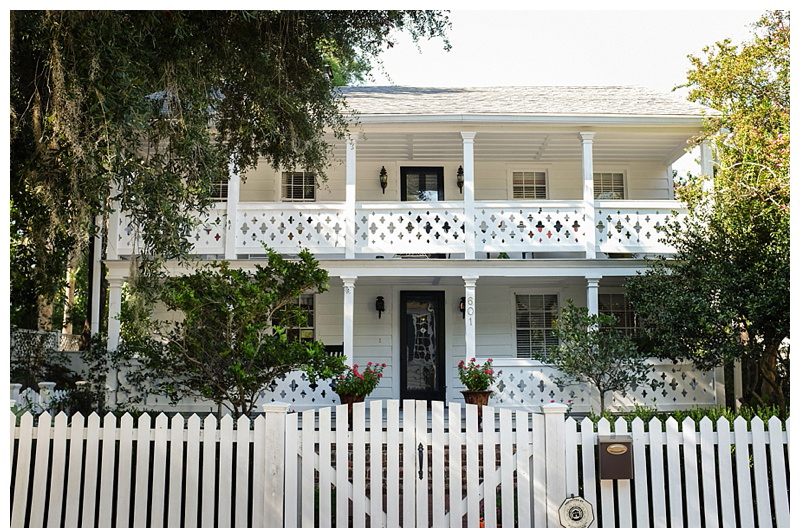 And the cute town of Beaufort – all perfect weatherboard homes, white rocking chairs dotting wrap-around verandas, and perfect gardens. 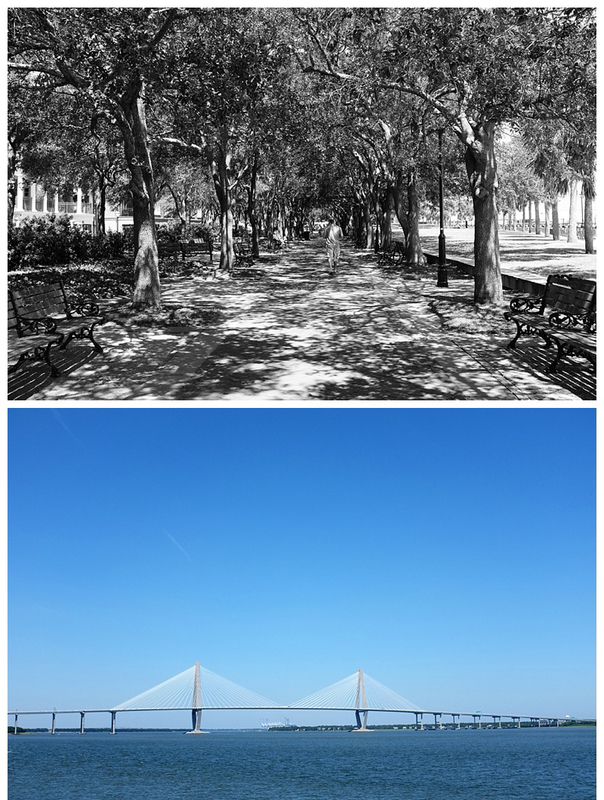 A little further north is Charleston, one of the most historic places in the States. 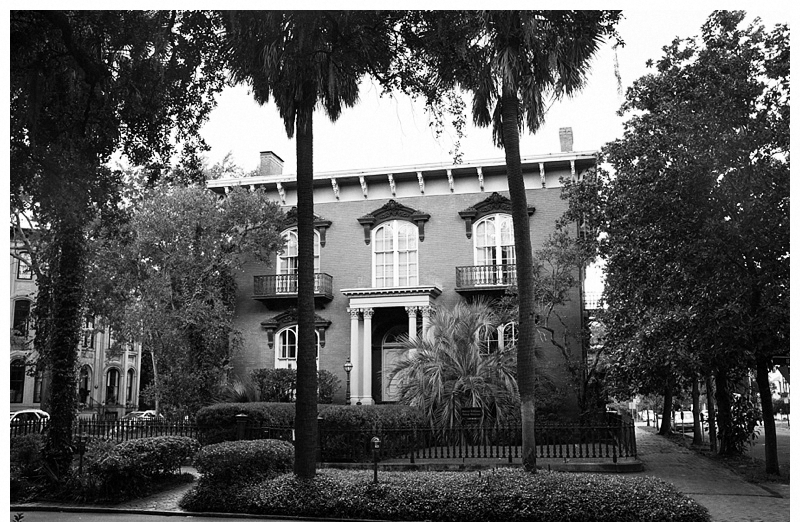 It was here that the first shots of the Civil War rang out, though like Savannah the city did not structurally suffer and retains its numerous old buildings and cobblestone streets. 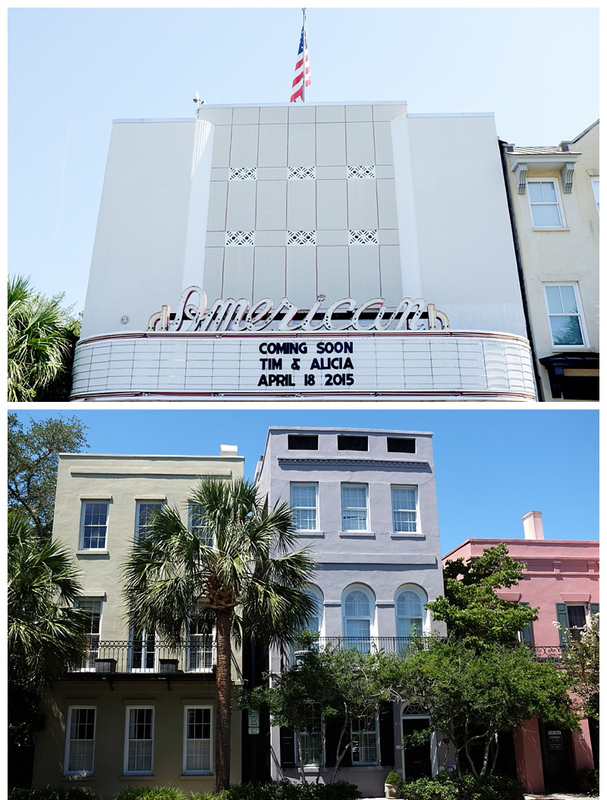 One old street had a row of colourful houses, and we also visited one of the oldest original theatres in the US. We stayed just outside the city in the grounds of a glorious old plantation, camped next to a peaceful lake. Some of you may have picked up from this blog that I have a big liking for all things REM, so it would have been rude to visit Georgia and miss out on the college city of Athens. We watched some live music at the famous 40 Watt Club where many bands, including REM, got their first break. We picked a good day to visit Athens as the town was packed to the rafters. All the students were back in town from their summer holidays, and it was the weekend of the first game of college football. It might not seem like a big deal, until you remember that college football is bigger than the professional game, and every game at the University of Georgia sells out all 100,000 seats. Everybody else just parties in the streets. The atmosphere around the city was fantastic. 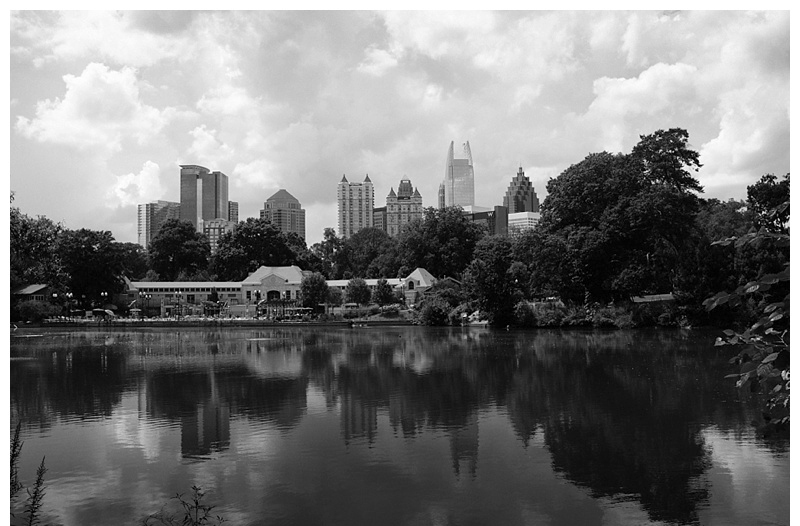 A stone’s throw from Athens is the largest city in the South – Atlanta. Home of CNN, Coca Cola and the 1996 Olympic Games, Atlanta has much going for it. 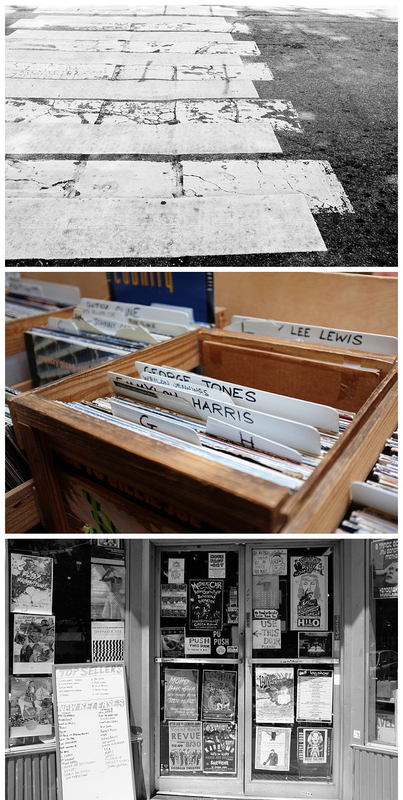 The large city centre is quite varied and interesting, especially around the old Olympic site and the large city parks. It was still very hot and humid, and we enjoyed escaping the heat and spending an afternoon at the Historic Centre, with a 1930s period mansion, and exhibits on the Civil War, the Olympics, Gone With The Wind (the famous Atlanta set book and movie). Next up: the Great Smokey Mountains and the Blue Ridge Parkway for some beautiful scenery. 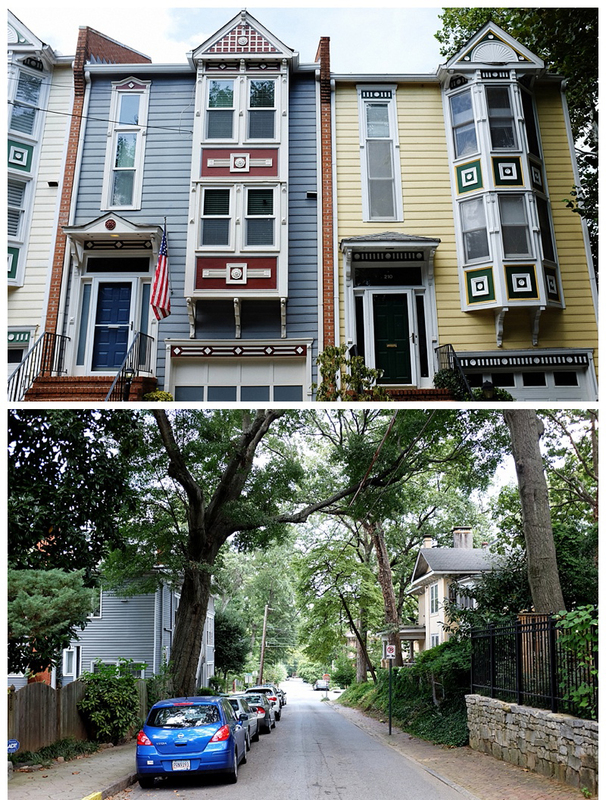 Stunning pics…I love the house in the first photo..would love to see inside and love the outside also.